What a renaissance the good ol’ BMW K-Series is having of late. From humble beginnings as the laughing-stock of the second-hand bike scene, the model has enjoyed a slow and steady rise in popularity over the past few years. And why wouldn’t it? Terminally underpriced second-hand examples can still be had for a little as US$2,500 in most countries. 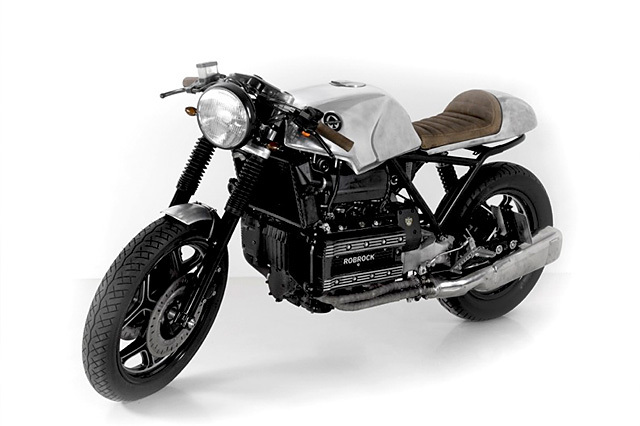 And, if you take your time, you’ll land a low mileage German-engineered motorcycle to have your wicked way with. What’s not to love? 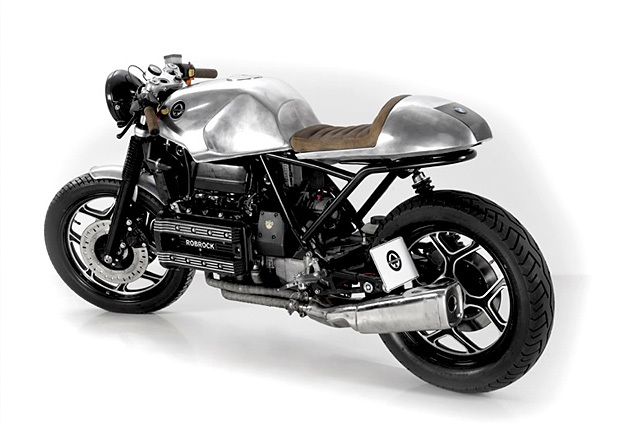 Which is exactly the attitude Herr Marc Robrock from Nuremberg’s Motofication took when he began this, his second ‘K-Fé’ K100 build. 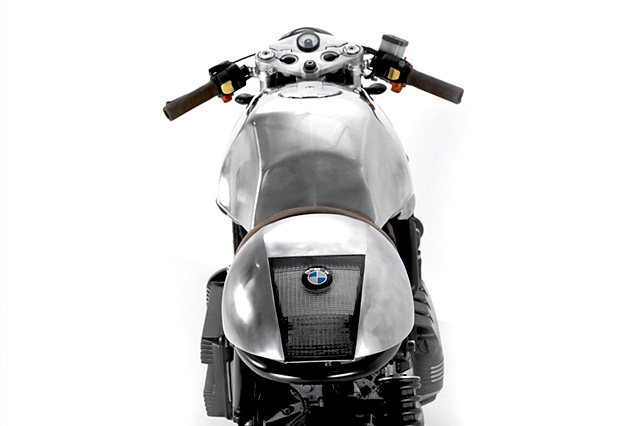 “This is my latest build – a BMW K100 RS. It was first delivered to Switzerland. 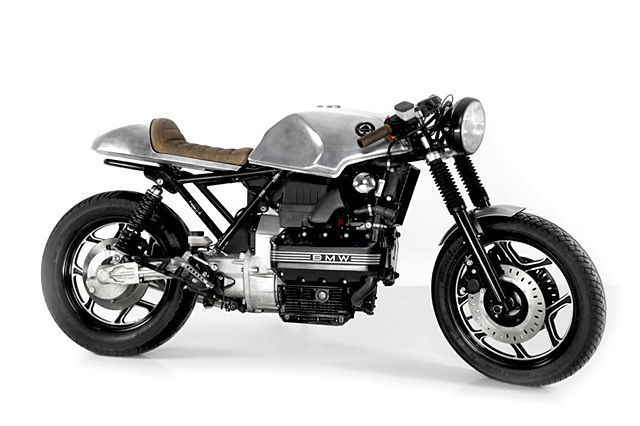 Then a Swiss guy who saw my first K custom was thinking about building his own café racer from this K which he bought for maybe €1800.” Did we mention they were cheap? 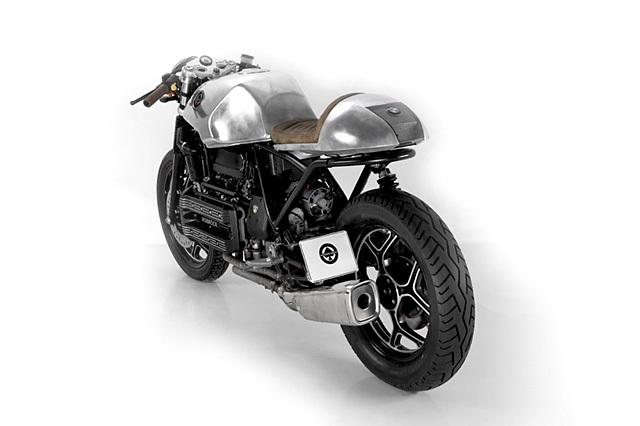 Mr Swiss then removed the plastic parts, took a Ducati headlight from a bike he once owned, bought indicator lights and a little Motogadget speedo, and then began looking for someone to do him up a nice leather seat. As we’ve discussed before, getting custom bikes legal on European roads can be a lot more bothersome than in other countries. Sadly, Switzerland is no exception to this rule. “They don’t allow many customizations,” Marc says with a touch of frustration in his voice. “Except for Harleys, because there are so many spare and aftermarket parts available for them.” Damn. How is that fair? “So I made a few telephone calls to the Swiss authorities for information – what is allowed and what is not. Then I started the project by removing the rest of the plastics including the huge BMW instrument cluster which contains all the electronics to manage the gear indicator, neutral, the rev counter and the speedo. Afterwards we installed an amazing little electronic device that translates all needed signals to the Motogadget.” Don’t you just love modern technology? And 1986 technology, too. Marc then mounted the Ducati headlamp and the indicator lights as supplied by the owner. 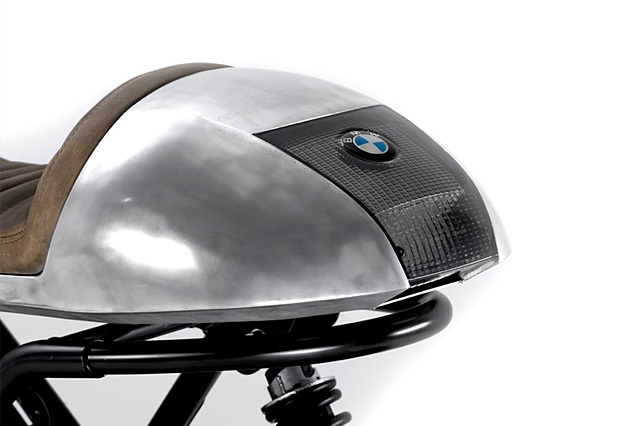 The tail section was made from of aluminium with a hammer and a leather cushion. “It took days to get it to look and fit perfectly,” says Marc. Now that’s commitment. 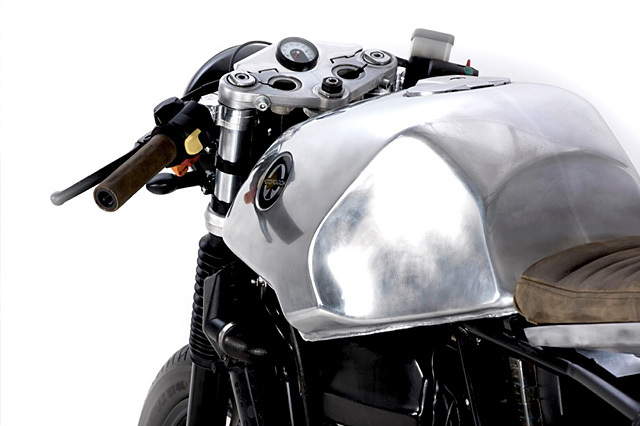 “To finish the build, we added a waxed leather seat and grips on some aluminium racing handlebars. The exhaust is made from the original unit, mainly because everyone we asked really liked the look of the square design. So we just shortened it by about 18cm and lifted it about 15 degrees. Finally, we mounted the license plate on the left side.” Then we’re guessing they had a beer. Cheers, Mr. Rock.